Troy Corser started the Misano race weekend as he means to go on by topping the timesheets in the opening Fee Practice session at Misano this afternoon. Onboard the BMW S1000RR, Corser set a 1.37.362 to finish ahead of Xerox Ducati rider Michel Fabrizio. 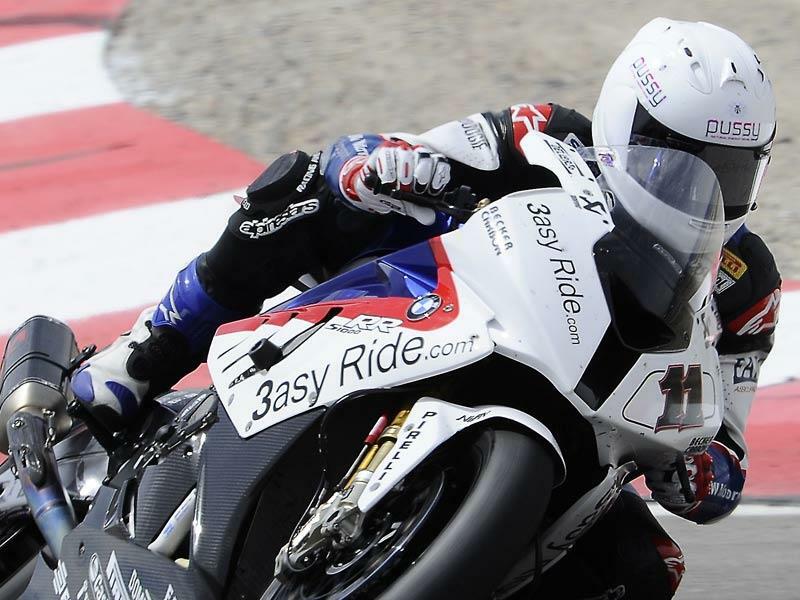 Corser’s lap time was similar to the times posted during testing ten days ago although riders were complaining of a dirty track and lower levels of grip. Championship contender Leon Haslam made a strong start to his weekend in third spot one place Infront of factory Yamaha rider James Toseland. The surprise of the opening session was Italian Luca Scassa who was fifth fastest onboard his privateer Supersonic Ducati to finish ahead of Ducati peers Noriyuki Haga in sixth, Shane Byrne eighth and Carlos Checa in ninth. Cal Crutchlow finished in seventh onboard his factory Yamaha.